Science Theatre was established to create science shows that use techniques from stage performance alongside expert knowledge of science. The shows that we produce are primarily for science festivals and schools, although we have produced shows purely for theatres too. 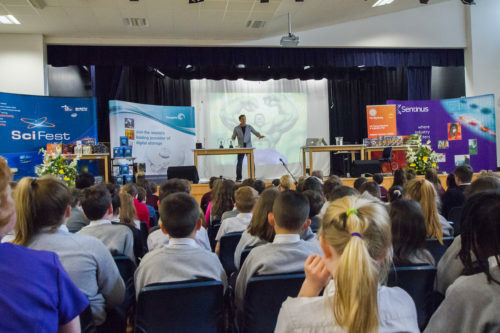 Science Theatre shows are carefully developed to balance the entertaining aspects of a stage show without losing the opportunity for audiences feel like they’re getting a chance to talk to a scientist as you have in a lecture. For more information, or to get in touch for an educational booking visit the Science Theatre website.